Hello Pop Culture Shockers! So, it’s been awhile since I’ve written a review and that’s because I’ve been super busy with my garden and winding the season down. I’ve also been very busy managing my Crohn’s and this has been most challenging for me. But, I’ll save that for another day. BTW, did you check out my indoor herb garden? I posted a pic on Insta on Sunday and can you believe that my Thyme has sprouted?!?! So excited! Let me get to the review. I’ve been on the fence about whether or not I needed to purchase a meat thermometer. Every time I grill, it’s been in the back of my head as to whether, or not, I’ve cooked meat thoroughly. Honestly even in the kitchen the thought goes through my head. 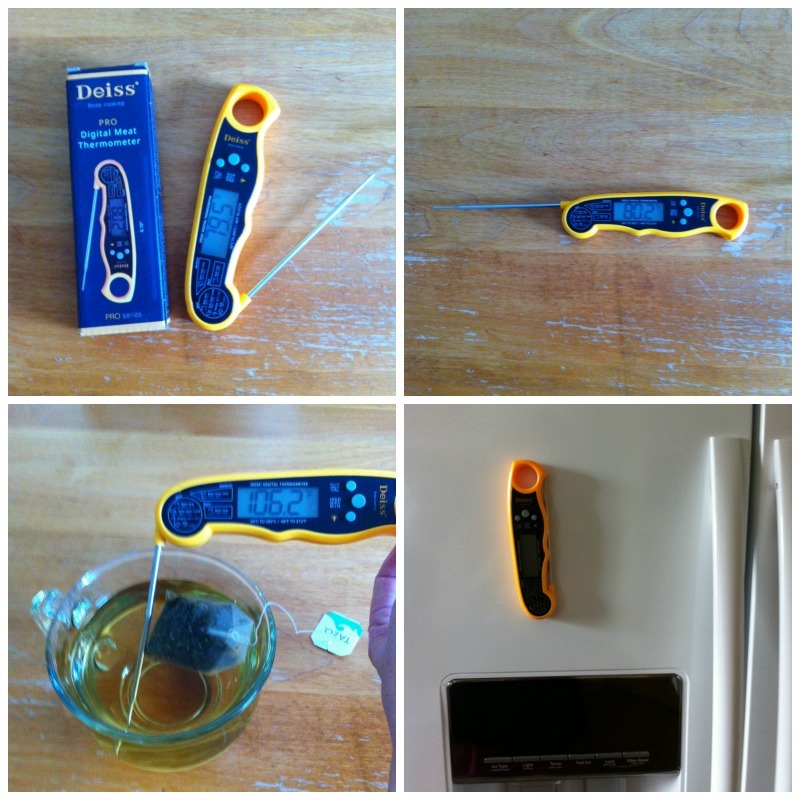 Well, I got a Deiss PRO Digital Meat Thermometer. It looks nice and it’s sturdy and best of all -- it’s very versatile! It’s a meat thermometer so obviously it gives accurate readings for meat. But, this thermometer can also be used to take the temperature of bath water, drinks, candy and deep-frying! Yay! I love multi-purpose tools don’t you?